Usually, when we in the West begin to learn about the history of anime, we begin with Osamu Tezuka. And to a certain extent, that's the perfect place to start. Anime, as we all know it now, began with Osamu Tezuka's style and production methods and everyone in Japan following his lead. But prior to 1961, when Tezuka began making anime for TV, Japan had been creating animation for nearly a half-century. The information available on Japanese animation before 1950, at least in English, is limited at best and conflicting at worst. The actual animated films themselves as well as records of who created what and when has mostly been destroyed. This is due to 1923's Great Kanto Earthquake and later the American invasion of the islands. Aside from that, animation was treated as disposable entertainment, as was most animation in the rest of the world at that time. Thus, little has survived. Thankfully, most of the animated work that remains has been preserved digitally and is available online! It should be mentioned that most of the silent animation presented in this article is "incomplete" in that it lacks benshi narration. When film began to spread throughout Japan, rather than accepting it as an evolution of photography as the west did, it was viewed as an extension of theater. Since kabuki, noh, and bunraku theater traditions all had narrators, naturally film needed one as well. Enter the benshi, a narrator who not only read the aloud the onscreen intertitles, but also described the film's events in real time and gave voice to each and every character. Two of the films embedded in this article benefit from recorded benshi narration. The rest are "incomplete". While I will be sprinkling bits of information I've uncovered regarding the roots of anime, make sure to give special attention to the cartoons themselves. What awaits you is a moving history of initially simplistic paper cut-outs giving way to experimental art, funny animal cartoons, sing along-songs, chalk animation, traditional folktales, and full-length feature films. And this is all before Tezuka. Welcome to an often overlooked world. Enjoy yourself. Film first hit Japan in 1896 and had flourished into burgeoning culture by the 1910s, complete with film criticism. Along with the initial wave of films from the west came Western animation. It was only a matter of time before Japan, with its rich visual culture, began experimenting with its own animated creations. The earliest example (speculated to be the oldest surviving anime) is Katsudo Shashin (Moving Picture, 1907?-1918?). The boy is writing the kanji for katsudo shashin which translates to "moving picture" in English. It seems that in these early years, both Japan and the west were amused enough with the novelty of an image in motion. In the early 1900s, animators experimented with inexpensive ways to bring their visions to life. Katsudo Shashin and many others were drawn directly onto the strips of film from which they were projected, making these animations one of a kind. This and other early animation techniques were pioneered by Oten Shimokawa, a political cartoonist for Tokyo Puck magazine. His first animated work, Imokawa Mukuzo Genkanban no Maki (The Story of the Concierge Mukuzo Imokawa, 1917) was long believed to be the first animated short made in Japan, though it is likely still the first short ever screened for a wide audience. After creating only five shorts, chronic health problems forced Shimokawa into early retirement. His contribution, however, gives him the honor as one of the three fathers of early anime. The second of the three fathers is Junichi Kouichi, who holds the honor of the oldest confirmed anime in existence (Katsudo Shashin could have been made as early as 1907, but there is no real proof as to its age). Namakura Gatana (Dull Sword, 1917) is a two minute short about a samurai attempting to test his newly purchased katana on innocent townspeople and failing miserably. This film was thought to be lost until a copy was found in an Osaka antique shop in 2008. Kouichi animated this short using paper cut-outs laid out on a table which he moved and changed to create the characters' movements. 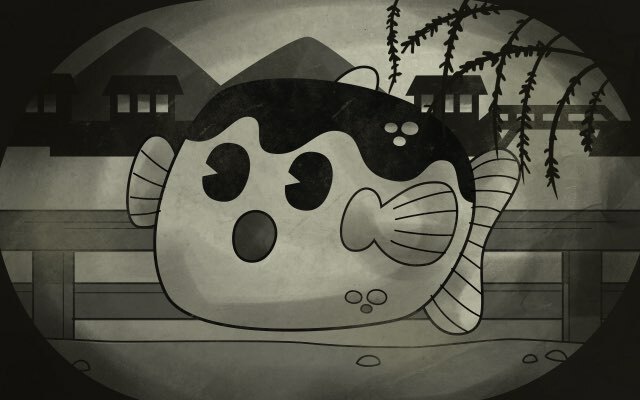 This was a technique that would later be taken to a level of artistic excellence by the Japanese animation directors of the 1930s. Junichi Kouichi began creating political propaganda in 1924 and retired from animation in 1930. The third father of this generation had arguably the most impact on the generation that followed him, mostly because he had the largest body of work and many animators of the 1930s were his students. Seitarou Kitayama created shorts focusing on Japanese folktales like Sarukani Gassen (Monkey-Crab Battle), Urashima Taro, and Momotarou. Aside from creating anime's first commercials and documentary, Kitayama stood apart from his contemporaries as the only animator to found his own studio. Kitayama Eiga Seisakujo opened in 1921 and gave jobs to a slew of talented individuals including Sanae Yamamoto. Sadly after only two years, most of Kitayama's studio was destroyed in the Great Kanto Earthquake of 1923. He left Tokyo for a fresh start in Osaka the next year, but eventually abandoned animation completely for a career shooting newsreels. With the destruction of Kitayama's studio, his team of animators struck out on their own to seek prosperity in personal ventures. But success did not come easily. Throughout the 20s, animation directors faced stiff foreign competition from larger, richer, and more impressive studios overseas. The imported cartoons had already made money in their home countries, so they were sold cheaply to theaters in Japan. Animation artists could not implement the expensive techniques used by Disney and still sell their cartoons at a competitive price. This made the paper cut-out methods introduced by Junichi Kouichi an absolute must. This limitation, however, led to some extremely innovative cut-out films by two men, Yasuji Murata and Noburo Ofuji. Yasuji Murata began working at the Yokohama Cinema Shokai in 1923 creating the Japanese intertitle cards for imported western films. After seeing various western cartoons, he was inspired to create his own in 1927. He worked almost exclusively for the Yokohama Cinema Shokai throughout his career. His first work to get attention was Doubutsu Orimupikku Taikai (Animal Olympics, 1928) a cartoon about funny animals playing sports. However, one of the best examples of his range and artistic skill is Kobu Tori (The Stolen Lump, 1929). Consider that Disney made Skeleton Dance this same year, and, though technically impressive, it is horrendously boring compared to Kobu Tori. In Kobu Tori, the contrast is moody, the characters are vibrant, the attention to detail more than makes up for the slightly limited movements, and most importantly it's a story well told! Kobu Tori is a perfect example of what wonders Japanese animators could produce despite their lack of funding and resources. Because foreign cartoons dominated movie theaters of the time, Japanese animation had difficulty finding a venue in which to be screened. A lot of anime from this period was screened in public shopping areas to generate interest. The Ministry of Education also encouraged Japanese animators to produce films that were educational or socially uplifting, thus allowing them to be screened in schools. This was the case with Yasuji Murata's Taro-san no Kisha (Taro's Train, 1929). Taro-san no Kisha (Taro's Train) is an interesting mix of live action and animation as well as a neat peek into the fashion and homes in 1920s Japan. Also, it teaches kids to not act like insane animals in public, which is a good lesson for children all over the world. Murata's film, Oira No Yakyu (Our Baseball, 1930) is a return to the sports setting he first utilized in Animal Olympics. This cartoon mixes the Western funny animal cartoon with Japanese elements, in this case the folktale Kachi Kachi Yama, a story of a fight between a tanuki and a rabbit. This particular YouTube video is a restoration of Oira no Yakyu by Digital Meme which includes benshi narration. Oira no Sukii (Our Skiing Trip, 1930) is either a sequel or prequel to Oira no Yakyu, as they were both produced in 1930 and we don't have exact dates for either. This film has a distinct advantage over its counterpart due to extensive magical transformations utilized by the tanuki and rabbits. Or at least, that's what I think. This video also benefits from benshi narration. Murata was a master of cut-out animation with strengths in skill, quality, and consistency. Murata's opposite was cut-out master, Noburo Ofuji, whose strengths were in innovation and the willingness to take creative risks. Ofuji became the apprentice of Junichi Kouichi at age 18 and made his first film at age 24. His films are characterized by the use of chiyogami paper. Though this gives his films a distinct Japanese look, the choice to use chiyogami was more practical than artistic. Chiyogami was cheaper by far than drawing on expensive celluloid and made inexpensive paper cut-out animation even more affordable. Even after gaining success and resources, Ofuji continued to use chiyogami as his medium of choice. Ofuji's achievements went beyond his aesthetic superiority. He was also an innovator. Though films with synchronous soundtracks had been introduced in the United States and Europe in 1927, they had not yet reached Japan by 1929. This was largely due to opposition from benshi narrators who wanted to hold onto their star status. Though he lacked the resources to create a true "talkie", Ofuji created the first "record talkie", in which he put to film an animation that synced up perfectly with an existing jazz record. The venue simply had start the film and the record at the same time and the audience would see Japan's first sound cartoon, Kuro Nyago (Black Cat, 1929). One of Ofuji's most famous shorts is a prime example of the fun-loving spirit his chiyogami animations could create. Mura Matsuri (Village Festival, 1930) is a real treat. It takes the "follow the bouncing ball" sing-along motif and spins it in new directions. This idea was relatively new at the time, having only been introduced five years earlier by Fleischer studios. Ofuji makes his bouncing ball interact with the scenery, transform words into objects, and transform itself into character heads. The song in this film is one I gladly get stuck in my head on a regular basis. The following year, Ofuji released another sing-along, this time tinted pink and intended to teach children the importance of national symbols, namely sakura. It's interesting to note that though Haru no Uta (Song of Spring, 1931) is very nationally-focused, the music is undeniably Western. The singer, Kikuko Inoue, was a singer from the Asakusa Opera, which was one of the major channels through which western music was introduced to Japan. Unfortunately I can't find a video of it online, but you can read more about it here. Noburo Ofuji begins to stray a bit from happy sing-alongs and into more serious territory with Kokka Kimigayo (The National Anthem: Kimigayo, 1931). Made to play along with a record of the national anthem, this film begins to more closely mimic silhouette animation of German animator Lotte Reiniger. The silhouettes in Kokka Kimigayo are cut with amazing detail and the backgrounds are beautifully complex. HOORAY! Now we get into Ofuji's cartoony stuff! Tengu Taiji (Tengu Extermination, 1934) is a great example of Noburo Ofuji's foray into cel animation. It's fascinating to see such familiar cartoon imagery repurposed for Japanese storytelling. This one is similar to a lot of 1930s cartoons, but has samurai, geisha, a cute doggy, and TENGU! I could say more, but you're better off just watching it. Our final look at the work of Noburo Ofuji is the film that cemented him as a master of animation in the art world. Kujira (Whale, 1952) is a remake of his 1927 silent black-and-white film, Kujira (Whale, 1927). The 1952 version features cut-outs of colored cellophane arranged on a backlit multi-plane animation table. This allowed him to create intricate backgrounds and transitions. The story explores themes of greed, female suffering, forces of nature, and transformation. It's a truly beautiful experience. NOTE: The only upload of this film to the web at the time of writing is by a composer named Ufjar who has replaced the original soundtrack with his own score. Kujira was shown at Cannes in 1953 and gained significant praise from jury president Jean Cocteau and a certain member of the audience named Pablo Picasso. This began Ofuji's wide acceptance in the international art world. After Noburo Ofuji passed away in 1961, the Mainichi Film Awards named their prize for animation excellence the "Ofuji Noburo Award" in 1962. The first winner of the Ofuji Noburo Award was none other than Osamu Tezuka. The 30s produced a wide array of Japanese animation ranging from impressive works of art to weird crumminess. This section presents samples from all parts of that spectrum. In 1931, the first war cartoon Sora no Momotarou (Aerial Momotarou, 1931) was released, marking the beginning of a steady increase in war propaganda until it was serious propaganda time in 1939. Chameko no Ichinichi (A Day in the Life of Chameko, 1931) was a record-talkie intended to play simultaneously with a phonograph of the same name. Chameko no Ichinichi was a popular song a year before it was animated. The animation is stiffer than Murata's and much less charming than Ofuji's, but it does feature the earliest example of product placement in anime. Watch for Chameko's endorsement of Lion Toothpaste in the tooth brushing scene. Kori no Tatehiki (Raccoon and Fox Trick Each Other, 1933) is another fun little romp. Certainly one of the best looking Japanese cartoons of the time, it borrows heavily from the style of Fleischer cartoons. It's a tad more polished than Tengu Taiji and offers some fun gags as the tanuki and fox one-up each other with magic tricks and transformation. Yasuji Murata offers up another folktale in the same style as Kobu Tori with his film, Umi no Mizu wa Naze Karai (Why is Sea Water Salty?, 1935). Though this film hasn't been preserved as well as Kobu Tori, you can clearly see how much more skillful Murata became in just a few years. The animation is incredibly refined and it's nearly impossible to tell that it's made using paper cut-outs. The entire film shines as a story clearly told by someone who has mastered the elements of visual storytelling. One of the first manga characters to gain widespread popularity was Norakuro. Created by Suihou Tagawa in 1931, the manga focused on a stray dog who joined the dog army, clearly an allusion to the Imperial Japanese Army. He began his army career as a bumbling private and eventually rose through the ranks to become a less-interesting sergeant. The manga, and the cartoons it spawned, did not start out as propaganda, but as the war began and escalated, Norakuro became an obvious choice for propaganda-tainment. This particular anime adaptation, Norakuro Nitohei (Norakuro, Private Second Class, 1935) was directed by Mitsuyo Seo. Hecks yeah! Ninjustu Hinotama Kozo: Edo no Maki (Ninja Fireball Boy: An Episode in Edo, 1935) is a one minute adventure of ninja silliness. One source claims that it is a longer cartoon truncated for personal viewing, but we'll never know for sure because this is the only copy in existence. Everything happens so fast, it's hard to tell what's taking place. It definitely involves a lot of ninja magic. Please leave your idea of what the heck is going on in the comments below. Obake no Taiji (Monster Hunt, 1936) is another dose of serious fun. It's a tad crummier than Kori no Tatehiki, but what it lacks in technical presentation it makes up for in creativity. It's rather reminiscent of Fleischer Studios' 1930 Bimbo cartoon Swing You Sinners! in that it shows a lot of imagination in its setups, character transformations, and villains. Toward the end of the 1930s, most cartoons began to lean in the direction of war propaganda. That, in itself, is an interesting study, especially since the quality of Japanese animation began to approach that of Disney. Furthermore, most all the anime from this period was directed by one man, Mitsuyo Seo. He directed the first feature-length anime, Momotarou Umi no Shimpei (Momotarou: Divine Sea Warriors, 1945), which was financed by the Japanese Navy. In 1948, the Toei Animation studio was founded and began situating itself to become the Disney of the east. It produced a good number of interesting shorts and features which had a predominant Disney aesthetic. The 1950s were an interesting decade for Japanese animation because several creative forces were taking anime in different directions, and it's fun to imagine what anime would look like today if something other than Tezuka had succeeded in capturing Japan's collective consciousness. However, destiny chose Osamu Tezuka as the god of manga (and by extension, anime) and no one can say he doesn't deserve that title. Anime's characteristic big eyes came from Tezuka's fascination with Disney's Bambi, and its signature character movements came from Tezuka's plan to temporarily limit animation to cut costs, a plan that eventually became permanent and was adopted by the entire industry. There is a good reason that most retellings of anime's history begin with Tezuka. What we know today as "anime" started with him. However, a history of Japanese animation is not complete without Kouichi, Kitayama, Murata, Ofuji, and many others. These artists are seldom remembered though they worked exceptionally hard to compete with well-funded foreign animation. All of them succeeded in creating Japanese art in an imported foreign medium, and a few of them succeeded in turning their practical limitations into artistic assets. These artists are mostly forgotten because the influence they have on our present is much less than the ongoing influence of Osamu Tezuka. But when you watch these early anime, try to imagine the affect it had on the people in the time it was made and how important it was for them to see samurai and tengu in the same medium as Mickey Mouse. Most entertainment and art we consume today will not be remembered in a hundred years, because people in that future time won't understand our context. But that doesn't make our art any less important. Nothing can devalue it for us. And nothing can change how important any piece of art was for people who saw it in days gone by.